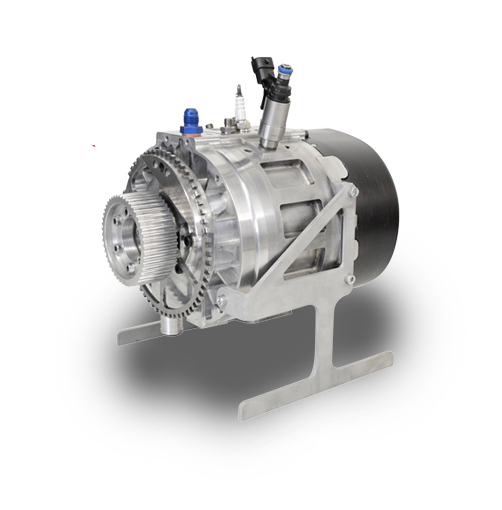 The new Wankel Rotary UAS Engine of 3W-International is a Wankel hybrid cycle engine with a compact design. The 4-stroke rotary engine is very light and offers an outstanding power-to-weight ratio. Therefore the engine allows a higher payload in field operations. With the hybrid-boost power, additional 15KW depend on store capacity. This additional power volume is simplifying lift off or acceleration. The 3W-180 SRE can run with gas or Heavy Fuel (HF). Thus, 3W-International offers a standard manifold or a high pressure injection (HPI). The cooling of the engine is guaranteed by water cooling of the housing and oil cooling of the rotor (active cooling).